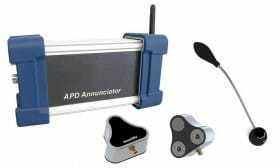 The APD-ANNUNCIATOR is a device for detecting partial discharges remotely inside any energized cabinet. The probe is installed in the unit under test, instantly reporting its status. This equipment gives a great benefit because it prevents long-term damage to the switching equipment. The great advantage of this equipment is its unique design that optimizes the results allowing simultaneous detection: TEV and directional detection of acoustic tests. 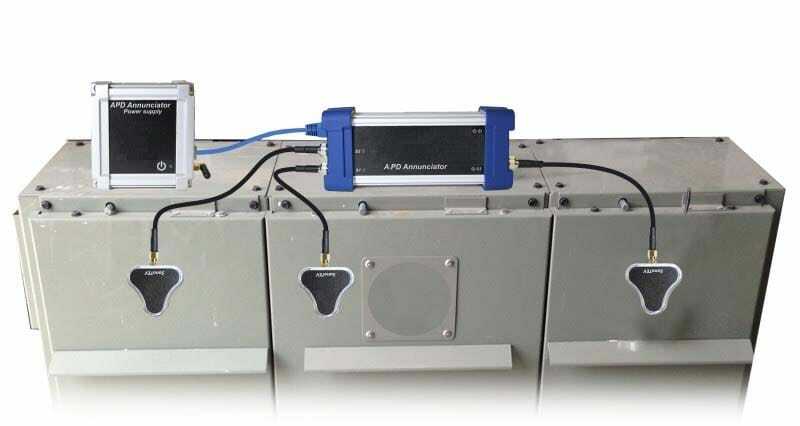 The APD-ANUNNCIATOR module is equipped with a high frequency partial discharge detection circuit for rapid TEV testing. Through the validation algorithms used by the equipment, the number of Partial Discharges is determined and allows to select the appropriate alarm level. Many modules of this PD measurement and analysis equipment can be used in cascade thus allowing the detection of PD in many distribution cabinets at the same time. The software that includes the equipment is used to set the alarm threshold for each acoustic channel and TEV. The complete software allows to visualize the graphic representation of the partial download activity in an easy-to-use intuitive interface, which gives the user a great advantage. The APD-ANNUNCIATOR partial discharge detection equipment software is used to recover data from the USB port of the computer where 15 000 entries are stored. Ethernet cables are used for data transmission and as a power source. Simultaneous tests: TEV and acoustics. Easy operation and installation on any metal surface. Robust design, simple and effective equipment. The SonoTEV sensor is installed directly on the metal surface of the cabinet to be analyzed, so its installation is very simple. Once installed, it detects the high frequency signals caused by the activity of partial discharges inside, using capacitive coupling technology (detection of VHF signals). 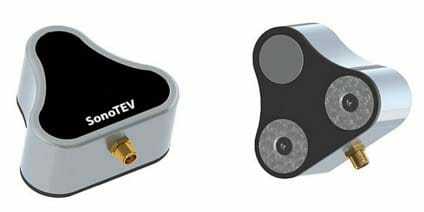 The SonoTEV sensor is also equipped with a surface ultrasonic sensor mounted on a flexible directional arm, which indicates the acoustic signals of Partial Discharge activity, so that the detection of DP is airborne or by contact.